Rubber meets road. 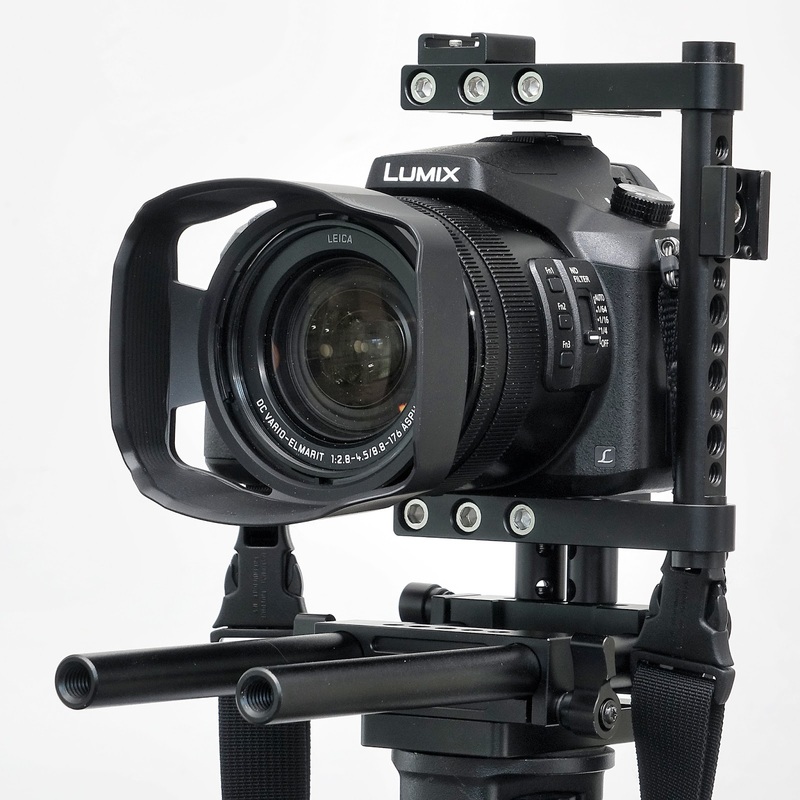 The Panasonic fz2500 really performs well as a 4K video camera. Hat's off. We put the fz2500 to the test today at Zach Theatre. I shot b-roll footage of the star of "Lady Day at Emerson's Bar and Grill," Chanel, going through a rehearsal, on stage at the Topfer Theatre. I also shot footage of director, Michael Vader, well.....directing. I used the fz2500 on top of a monopod for most of my work but near the end I also used the camera handheld in order to get more feeling of motion. We worked under the stage lights and also in dim work light. I was able to dip down to ISO 800 for some of the stage shots (mostly at f4.5-5.6) and I had to scrape up photons with ISO 4,000-6,400 when shooting the director out in the middle of dimly lit audience seating. Once I disabled the touch screen I had no issues with nose controlled focus points or shifting focus points and everything I shot was either insanely sharp or wildly out of focus (my fault). I used the UHD, 30 fps, 4k setting with the camera set to 1/60th of a second. While the AF was good I find it much better, at the long end of the lens, to use MF which I have set up to "punch in" when I touch the focusing ring. I'm also using focus peaking to enhance my chances. The camera is much, much, much easier to manually focus than the RX10iii. Much easier. After the rehearsal, and a quick coffee with one of my video mentors, I rushed back to the studio, opened Final Cut Pro X and started looking at the stuff I'd shot. The "footage" at ISO 800-1,600 was impeccable. Very little noise in the shadows and lots of sharp detail and good saturation. No additional sharpening was necessary. The image stabilization, in concert with the monopod, was great. The hours I spent shooting at the theater this afternoon helped me gain a new respect for the fz2500 as a video camera. I used the slow zoom controls and was very happy with the smooth, slow zooms I was able to achieve. I trust the focus peaking on this camera more than I do on the Sony RX10iii. And I think the quick menu is highly effective. I'll be using this camera to shoot my interviews this week with the actor and director and look forward to seeing if the microphone pre-amps play well with external pre-amps and audio recorders. I've got time scheduled tomorrow to do a complete audio run through in the studio in anticipation. My assessment of this camera? As a low cost/high performance 4K video camera it is exemplary.